Community management platforms function primarily to create a digital space for people (community members) to engage in productive discussion. In this space, community members are able to share their thoughts, ideas, and concerns. Products in the Community Management Platforms category allow for constructive dialogue that can lead to a significant increase in employee and customer engagement. As a result, mature communities are able to address support issues, measure satisfaction, and ultimately build stronger relationships with community members. Community management platforms are used across several industries to support specific business goals–their features can be specialized to focus on one aspect of community (Q&A, ideation, or link sharing) or more complex, hierarchical platforms (multi-tiered advocacy programs). Community management platforms integrate with website builders and web content management programs so community members can seamlessly interact within a brand’s online community or website. These platforms also integrate with help desk programs, which can provide community members with FAQ, Q&A tools, and minor troubleshooting solutions. Online Community Management reviews by real, verified users. Find unbiased ratings on user satisfaction, features, and price based on the most reviews available anywhere. Vanilla Forums was created out of a desire to reinvent the traditional discussion forum. Forums are the original social media and remain the primary place for meaningful interaction among hundreds of millions of people even today. Vanilla Forums Cloud, is a cloud based community software, with a modern take on community. Below are a few of the features of Vanilla Forums: -Themes: Completely customize the look and feel, beyond just header and footer. -Gamification and reputation system: More than just badges, the reputation engine can be used to promote good content, grant member abilities, and help automate moderation. -Made for Mobile: Detects the browser agent and applies the most appropriate theme to ensure a great user experience -Single Sign-on: Vanilla's jsConnect SSO, SAML support and social logins make it easy for users to register. SSO can be configured to be seamless with your existing system. 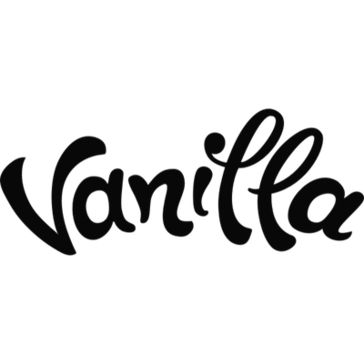 -API: Vanilla has an easy to use RESTful API that you can use to deeply integrate Vanilla with your website. -Permissions: Control fine-grained, role-based permissions that can be assigned on a per-discussion-category basis. Assign multiple roles to individual users. Roles can be set manually, based on registration workflow, via SSO and via the API. -Spam Prevention: Powerful tools to keep your community forum free of spam. -Integrations: Salesforce, Hootsuite, Zendesk, Github, WordPress, Mailchimp, Facebook, Twitter, Google+ and more. Khoros, formerly Spredfast + Lithium, is the leading customer engagement platform built to turn siloed knowledge into enterprise value, and customers into contributors. By connecting consumer insights across all departments, Khoros gives companies the ability to run their business with their customers, anticipating their needs and accelerating sales, loyalty, and innovation. With 2,000+ customers, including 52 of the Interbrand 100, and ten offices globally, Khoros powers approximately 500 million digital interactions every day. From social media to online communities and messaging to digital customer care, Khoros helps companies authentically connect with customers throughout their journey. Khoros Communities are designed to leverage the power of the crowd to transform the user's website into a social destination and improve customer relationships. Key benefits include the ability to: Reduce service costs and greater efficiency through self-service. Users can deflect up to 20% of calls that would otherwise go to the customer service call center. Improve conversion rate, by including social proof from the community. Customers have seen conversion rates double through using the community. Foster customer advocacy and loyalty, and improve customer retention through community engagement. Boost SEO. The vendor says Lithium community content can lead to a 48% uplift in organic search traffic. Accelerate innovation, by crowdsourcing ideas from experts and advocates to inform the next generation of products. Hivebrite is an all-in-one community management and engagement platform that helps you build brand engagement and opportunities for your private community. It is easy to set up and fully branded to match your colors. CMNTY Platform is an intuitive all-in-one solution for building online communities that inspire interaction among people that share an identity or interest. With its elegant design and countless ways to fuel inspiration, the platform amplifies your ability to connect with people and truly understand what excites, motivates, and concerns them. Unlike legacy community software, CMNTY Platform comes with more than just forum and blog functionality. It comes with a fully featured built in questionnaire tool, co-creation challenges, gamification, polling, social media integration, dynamic user groups and much more. By analyzing interactions and discussions in real-time, CMNTY Platform helps you create actionable, quantifiable insights that help you truly understand what excites, motivates, and concerns your members. inSided's innovative customer success automation platform helps B2B software companies scale by combining customer success content with user-generated community content and delivering it seamlessly within your product. Increase customer retention and boost Customer Success and Support team efficiency by automating customer engagements—all while providing a smooth and easy user experience. The inSided platform is a true SaaS solution: highly configurable with no programming needed. Memberium is a premium WordPress plugin that allows you to build powerful membership sites and online courses that work closely with your businesses CRM platform. Currently we have versions available for Infusionsoft and ActiveCampaign. You get a fully functioning and customizable vBulletin site with all the key admin controls, while vBulletin handles the back-end infrastructure for you. Codementor is an online marketplace connecting developers with experts for on-demand 1:1 help via screen sharing, video and text chat. Higher Logic is an online communications application that enables users to attract, engage, and deliver content to their target audiences. Packback creates AI-powered inquiry-based learning communities designedd to improve critical thinking and support curiosity in college students. PlushForums builds beautiful, modern discussion forums, for everyone. Breezio is a community engagement platform which combines the best of knowledge exchange, professional development, and content management in a unique, comprehensive and user-friendly community engagement platform. CX Network is an online community for global customer experience, service, insight and marketing professionals who are leveraging customer management strategies to increase customer acquisition and loyalty, whilst driving increased profits across the entire organisation. Discuz! is a community forum platform. Get Satisfaction is an easy solution to build online communities that enable productive conversations between a company and its customers. Hoop.la online community is the easiest and most flexible Enterprise platform to communicate with your customers, fans, employees, franchise owners, influencers, and partners. Use Hoop.la's blogging, forums, calendar, surveys, chat, member management, automated admin workflow, templates, and advanced reporting to centralize your conversations in a space that you control. Hoop.la is a completely hosted, feature-rich online community platform. Supported content includes blogs, forums, chat rooms and events, calendar, clips (photos, videos, music, and document sharing), databases, and private messaging. Fully responsive design makes mobile experience a pleasure. Use our APIs to integrate with the rest of your marketing stack. Memeni is an online community engagement platform that works with your existing website and social media channels to deliver a personalized experience of your brand to each member of your audience - without needing to pay to reach them. Unlock the potential of your member community today with Mobilize. Use the power of community to maximize member retention, increase engagement, attract new members, and grow your organization. Mobilize offers everything you need to let member engagement flow seamlessly across channels, creating a better experience for both your organization and your community members. From Professional Networks, Membership Based Organizations, Associations and more - Mobilize is already empowering some of the top brands and movements such as Microsoft, Docker, Etsy, MakerFaire, The United Nations, Prezi and many more. NodeBB is an easy to use mobile-ready forum software. Simple Machines offers free open source software such as SMF, a community forum written in PHP. vBulletin 5 Connect provides unparalleled capabilities for building community websites. ZetaBoards offers free forum hosting that serves as the perfect site for growing an online community. AskMe is an expert knowledge management system that allows site owners to set up an expert advice service similar to Quora or StackOverFlow. 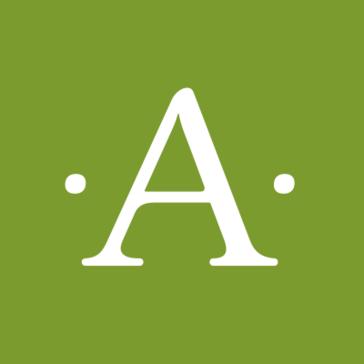 Aluminat creates thoughtfully designed online platforms for engaging people across an institution. Aluminati create and integrate fully managed online applications that allow alumni to engage in meaningful actions relevant to them. AlumNet is a cloud solution that does everything from e-mail, sms, calendars, announcements, arranging reunions ,sharing documents, photos, videos and an online shop etc. Versation helps increase student enrollment, manage alumni, and recruit international students. Alumni Network will keep your important alumni close to you as you build a network of alumni ambassadors around the world. Alumni Rx is Enrollment Rx's alumni management solution that delivers rich CRM functionality that empowers clients to manage their alumni relationships, and has an engaging tools and world-class features. Amixa Alumni Management System is a web-based online alumni management application to deploy on other school and university web sites. Amixa is a web site design,e-commerce development, and web site hosting provider. Why Use Online Community Management Software? Who Uses Online Community Management Software? The omnipresence of social media has forever changed the way we interact—with each other and with the world. For better and for worse, online communities are overflowing with activity from people of all ages. Brands are following the lead of major social networks, creating and moderating community platforms for their customers, in addition to the interactions on social profiles. These communities allow members to find, provide, and discuss information related to the products and services at hand, with access from mobile devices or personal computers. Brands can communicate directly with their most important customers using this technology. This can mean assigning employees as community managers, offering exclusive content to members, and linking directly to support channels on discussion forums. Users can also connect with like-minded people and form genuine bonds from within these digital communities. A custom community platform can elevate your existing website or be deployed separately, and in some cases can integrate directly with your company’s social media pages or users’ social accounts. Whether serving as resources for complex product knowledge or friendly communities where customers can meet and chat on related topics, the tools in this category can add value for users and improve your brand’s reputation and bottom line. Community engagement is a virtue among the world’s most successful companies. Thanks to modern social tools, you can foster an online meeting place that matches your aesthetic, voice, and values and turn it into a successful community in its own right. Everyone from your core members to brand-new customers can unite with help from these software platforms, allowing for around-the-clock engagement and access to information. Your in-house team can assume roles as online community managers and moderators, with the marketing or social media team contributing content and interacting where needed. Additionally, your customers themselves can become unofficial brand ambassadors by answering product questions and sharing personal experiences within your hosted communities. Over time, users can collectively contribute to a vibrant, self-sustaining social hub, with simultaneous discussion threads and a strong sense of community. Picking up where social media platforms leave off, your company can create a beloved customer community that serves as an interactive extension of your brand. By registering as community members, users can solve problems, share solutions, and become friends, regardless of where they are in the world. In the short term, online community engagement can improve the customer experience with your products and reduce the demand for in-house support staff. Over the long term, these communities can become indispensable features of your brand, with users feeling more connected with your product and each other than ever before. A thriving community platform can benefit your business from all angles, from the sales pipeline to product development. With that said, below are a few specific departments most likely to use this technology firsthand and be involved with your community management strategy. Community managers — This may seem self-explanatory. The role of community manager is becoming more common and vital to business strategy in tandem with online customer communities. These roles may involve a degree of social media management, but they can extend to other avenues such as in-person group facilitation and direct oversight of exclusive online communities. Community managers are hired for their communication and moderation skills, as well as their ability to keep a company’s best interests in mind while providing a platform to users. Once your brand’s unique social hub is up and running, designated community managers can ensure they remain on topic and provide the most useful information while welcoming a steady stream of new users. Depending on the product and the community strategy, community managers may be responsible for the initial creation of communities, or they will work alongside members of the product and development team to get things up and running. Customer support — Your customer support team is the first point of contact for resolving most customer issues. If you open up an online space for your users, it is likely to become a hotbed for product feedback and conflict resolution. Your support team should be administrators of these communities at the very least, able to intervene with comments or direct messages to members when complaints or negative experiences arise. Community managers and moderators can filter discussions and send notifications to the support staff when they observe relevant discussions. In other situations, customer support members may prefer to be active and engaged members of the community, chiming in as an official voice of the company within certain threads or groups. Online communities can not only help resolve issues in a timely manner, but they can generate in-house awareness of customer issues and general feedback that otherwise may have flown under the radar. Marketing — Social media specialists are a modern breed of marketers that came about in the last decade or so. If you have a designated social media team, their expertise surrounding social channels can make them natural contributors or moderators of your unique social community. Even without a designated social team, your marketing department could benefit from getting involved with your community platform. Active online communities are an ideal location to measure a brand’s reputation among users and transmit brand messaging to the most valued customers. Your marketing team can choose to leverage these platforms for a number of reasons, from testing out different ad strategies to shaping campaigns based on specific conversations or feedback. By closely following these discussions (and in some cases, directing the conversation), marketing experts can keep their fingers on the pulse of an organization and understand the target audience inside and out. The products in this category offer diverse sets of tools for creating and moderating online forums and other social communities. Below are some of the common features you will encounter in these solutions and descriptions of their functionality. Discussion forums — Another way to think of online communities is to picture them as large rooms where your customers can discuss your brand. Organized online forums are the centerpiece of online community management. With forum software, you can create a structured system for online conversation. If your customers are interested in joining the community, they can register new accounts to receive access to forums and post queries or comments. Conversations on these forums can be organized by subject matter, and members can sort themselves into different groups that focus on specific topics. A moderated forum can quickly become a wealth of information with a personalized touch. As customers help one another with troubleshooting or discuss different use cases and personal experiences, conversation threads can become walkthroughs and guides of their own. This content can not only be useful for members but can provide invaluable data to community managers and companies as a whole. A hosted forum can provide businesses with an exclusive form of market research as they observe their real customers talk about the product, the industry, and their own relationships with the company. Access to content — When discussing your product or service in the discussion forums, your customers may potentially resolve issues or improve their experience based on the input of others. With a number of products in this category, you can go the extra mile with members-only content repositories. You can offer exclusive guides, tutorials, blogs, podcasts, and videos to community members, sending them alerts when new content is available. This community can also be the ideal audience for the initial run of company news and product updates. Because of the lengths that users go through to register and contribute to an online community, they may be the most enthusiastic audience for new content or other updates. Collecting feedback — You can leverage your brand’s community to solicit feedback on marketing campaigns, new features, or the product in general. Community managers or forum administrators can ask questions to specific forum groups or the community as a whole and quickly receive trustworthy input from your base. Depending on the product, you may be able to collect reviews and ratings of products that can be made visible on product pages or e-commerce sites. Products in this category may also offer features of or integrate with audience response software or survey software and allow you to distribute polls or other questionnaires to select groups or the community as a whole. In this way, your online community can be a reliable market research panel and offer a diverse set of opinions that can benefit your organization. Any data that is collected through these platforms can be immediately communicated to the most relevant people in your organization or uploaded into an analytics software platform or other storage platform. User-generated content — One of the many byproducts of social media is the resharing of customer posts as marketing materials. This process, known as user-generated content (UGC), is a way for brands to showcase their products during organic use cases, with the added value of relatability thanks to the personal touches of users. Online community management applications may offer features of or integrate with user-generated content software. These features may allow admins to group member media uploads or social mentions by keywords, hashtags, location, or other details and request permission from the respective members to reshare as UGC. Depending on your product or audience, your online communities may be swarming with quality content thanks to the unique contributions of your members. Gamification — It never hurts to reward your users. Gamification features of certain tools in this category allow you to enhance forums with badges, points, or other bonuses for active discussion and popular responses. As users receive more accolades, you can choose to offer them increased permissions or privileges within the forums. Certain products may allow you to create contests and integrate them into your online discussion forums. These features can be an effective way to engage your audience and build excitement for your brand while inspiring a slew of new content on your forums. The following products can go hand in hand with online community management to improve your customer engagement and maximize the benefits to your business. Social networks software — As discussed, branded online communities are a direct descendant of social media, allowing your customers to connect and share information in seconds. In addition to building an active community, your company should strive to maintain some presence on social media. Business pages on social networks software are an effective, engaging method of promoting your business and interacting with customers. These networks are also massive sources of potential new customers. You can leverage these platforms to promote your community, and vice versa. The combination of these efforts will help you engage with the widest possible audience. Online reputation management — There is a big world outside of your hosted user community. It’s critical to know what is being said about your business in this open domain on places like social media and business review sites. Online reputation management software can help you track your goings-on around the web, including mentions on major social platforms and negative reviews or ratings. It is important to track this activity for a variety of reasons: to identify troublesome experiences and remedy them, to help manage your public relations, and to identify customer trends, to name just a few. Feedback collected from online reputation management can go a long way in shaping your company’s brand and strategy. Customer self-service software — Empowering your customers is a major benefit of online community management, and for some companies, it may be the biggest reason for hosting communities. This can carry over into your primary website and shopping experience with help from customer self-service software. This technology allows you to create customer knowledge bases (e.g., FAQs) and other interactive features to give visitors autonomy and immediate results.This is a natural complement to online communities, helping your customers feel like they are part of the experience while maximizing their knowledge and involvement with the brand. Hi there! Can I help you find the best Online Community Management solutions?